Mattress should be sanitised regularly and thoroughly as they tend to gather bed bugs, dust mites and other pollutants which make them a threat to the health. We offer highly efficient mattress cleaning in and near Paddington which guarantees effective removal of stains, allergens and contaminants from beds. Get your mattresses steam cleaned and disinfected by our experienced staff and you and your family will sleep better. We guarantee you effective work and cleaning implemented at a fair price. For more information and help use the services of our customer centre. Our cleaners are trained to sanitise all kinds of mattresses using suitable preparations and machines which work on high pressure and remove all allergens. This is essential for the healthy condition of every bed which will ensure long and deep sleep. Our staff first inspect the condition of the mattress and choose the proper detergents and preparations for it. They pre-treat heavily soiled areas, apply suitable stain removers to dissolve and eliminate old and stubborn blemishes from the mattress. 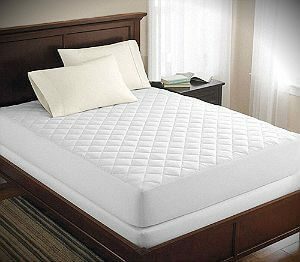 We provide steam cleaning which injects hot water and mild cleaning solution in the mattress fabric. Then, the machines extract all allergens, dirt and bed bugs from it. You can take advantage of our reliable mattress cleaning for your home, hotel, bed and breakfast or commercial property, located in Paddington and the results will be very professional. 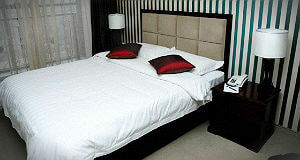 The best way to maintain mattresses in good condition is to use the professional services of a company, offering such. Our technicians are trained and qualified to provide effective cleaning of mattresses which takes a few hours and guarantees pristine and spotless beds. We work during the whole week offering our affordable mattress cleaning services implemented with powerful steam cleaning machines in the Paddington, W2 territory. Use them and your family and guests will sleep in hygienic and impeccable beds.